All of Us or None is sad to share that AOUON North Carolina Organizer Brian “BDubb” Wiley was killed in Durham, N.C. on Sunday, July 15, 2018. Brother Wiley passed a year after fellow AOUON NC Organizer Umar Muhammad was killed in a traffic accident. AOUON NC Organizers Brian “BDubb” Wiley, Andraé “Muffin” Hudson, and Umar Muhammad tabling at a community event in Durham, N.C.
We should have the expectation that we can survive freedom more than we can survive prison. It’s troubling to me that we lost two organizers in North Carolina in a year. It’s troubling to me to look a picture of people doing tabling for All of Us or None, and two of the three people have died. And both were under the age of 35. For some people, AOUON is where you can register your objection to how you’ve been treated. An opportunity to turn a bad experience into good. Brian Wiley and Umar Muhammad were trying to make a demand for justice, and they died before we could achieve it for them. Brian died almost a year to the day Umar died. Sometimes I think God has an odd sense of humor. Us older organizers are training youth leaders to carry on the movement, yet some of youngsters are gone and we’re still getting older. So we might have a plan, but God might have a different one. It’s hard. All of Us or None contributed towards Brian’s funeral expenses. And we’ll continue to train and support organizers across the country. Because we have to. We have to take up the work left unfinished by those who pass before their time. We have to change the expectation from “We won’t make it past 35” to “We will live beyond 50.” We have heavy hearts, but Brian, Umar, and all who have gone on before had high expectations. And so we must continue the fight for our civil and human rights for ourselves, for our family members, and our communities. A memorial fund has been set up to help the family in this time of tragedy. Sacramento – Today, Senator Scott Wiener (D- San Francisco) joined a coalition of criminal justice reform advocates and co-authors to announce the introduction of Senate Bill 136. SB 136 repeals a mandatory one-year sentence enhancement that is added to an individual’s base sentence for each prior prison or felony jail term served. This enhancement impacts about one-third of people serving time in California prisons. Currently, if an individual is convicted of a felony and has served time in jail or prison for a prior felony, a one-year enhancement must be added to their sentence even if neither their current nor prior felony is serious or violent. Research refutes that these enhancements help to deter individuals from committing crimes, reduce recidivism, or increase public safety. Instead, these enhancements put a significant financial burden on taxpayers and families statewide. California has some of the most severe sentence enhancement for prior convictions in the nation. In the California Penal Code, over 100 separate sections enhance sentences based on an individual’s current offense and or record of prior convictions. As of 2016, 79% of people under the California Department of Corrections and Rehabilitation (CDCR) custody had some sort of sentence enhancement attached to their base sentence, and 25% had three or more enhancements stacked on top. SB 136 would amend one of the most commonly used sentencing enhancements, which impacted one-third of individuals convicted in 2017. According to CDCR, as of December 2018 there were over 15,000 counts of this particular enhancement added to sentences of incarcerated individuals. This is a conservative estimate, as it does not take into account local county jail sentences impacted by the one-year enhancement. California currently spends over $80,000 each year to imprison an individual. These sentence enhancements are thus very expensive, harm state and local budgets, and shift dollars away from desperately needed community services. SB 136 does not alter an individual’s base sentence for their current felony charge or amend any other enhancements for violent, repeat offenders. SB 136 is co-sponsored by the ACLU of California, California Coalition for Women Prisoners, Californians United for a Responsible Budget, the Coalition for Humane Immigrant Rights, the Drug Policy Alliance, the Ella Baker Center for Human Rights, the Friends Committee on Legislation of California, Legal Services for Prisoners with Children, Pillars of the Community, and Tides Advocacy. Assemblymember Ash Kalra (D-San Jose) is the principal co-author on the legislation, and it is co-authored by Senator Steven Bradford (D-Gardena), and Assemblymembers Wendy Carrillo (D-Los Angeles) and Shirley Weber (D-San Diego). SB 136 was officially introduced on January 15, and will be scheduled for a hearing in the coming months. Sacramento, CA —The California Assembly voted to pass Senate Bill 1393, authored by Senators Holly Mitchell and Ricardo Lara with a vote of 41 to 31. SB 1393, the Fair and Just Sentencing Reform Act, restores judicial discretion to the application of the mandatory 5-year sentence enhancement for each prior serious felony on a person’s record at the time when a person is currently charged with a serious felony. The bill is part of Senator Mitchell and Senator Lara’s Equity and Justice Package of 2018, which seeks justice reforms for juveniles and adults. Governor Brown has until September 30th to sign or veto this sentencing reform. California has some of the most severe sentence enhancements in the nation. According to the Public Policy Institute of California, California has more than 100 separate code sections that enhance sentences based on a person’s current offense and/or record of prior convictions. PPIC states that as of 2016, 79% of people under CDCR custody had some kind of sentence enhancement attached to their base sentence; 25% had three or more enhancements stacked on. One of the most commonly used sentence enhancements is the five year enhancement for serious priors. According to data from the California Department of Corrections and Rehabilitation (CDCR) as of 2016, there are close to 100,000 years’ worth of the five year sentence enhancement applied to people currently under CDCR custody. The Fair and Just Sentencing Reform bill will help restore balance in the judicial process, address extreme sentences, and reduce racial disparities in the criminal justice system by allowing judges to decide what is best in the interest of justice. The passage of this bill builds on the growing momentum in California to enact criminal justice reforms that divest from ineffective mass incarceration policies and invest in community-based solutions like mental healthcare, education, and substance-use treatment. This bill also builds on the efforts of the California legislature, who passed SB 180 (The Repeal of Ineffective Sentencing Enhancements) authored by Senator Mitchell, which repealed the three-year sentence enhancement for prior drug convictions and SB 620 authored by Senator Bradford, allowing judges to strike unwarranted gun sentence enhancements. Advocates and community members who have lived through extreme sentences laud lawmakers for demonstrating their commitment to address failed policies. Five years after he helped launch the largest-ever prison hunger strike, Todd Ashker is back in isolation. And he’s not the only one. On July 8, 2013, more than 30,000 incarcerated men and women across California began refusing to eat. It was the start of the nation’s largest-ever prison hunger strike, and for some the fasting would last nearly two months. The mass protest made headlines across the country, and compelled the state to seek a federal court’s permission to force-feed participants. After state lawmakers agreed to hold hearings about conditions inside California’s prison system, the strike was finally suspended on September 5, 2013. 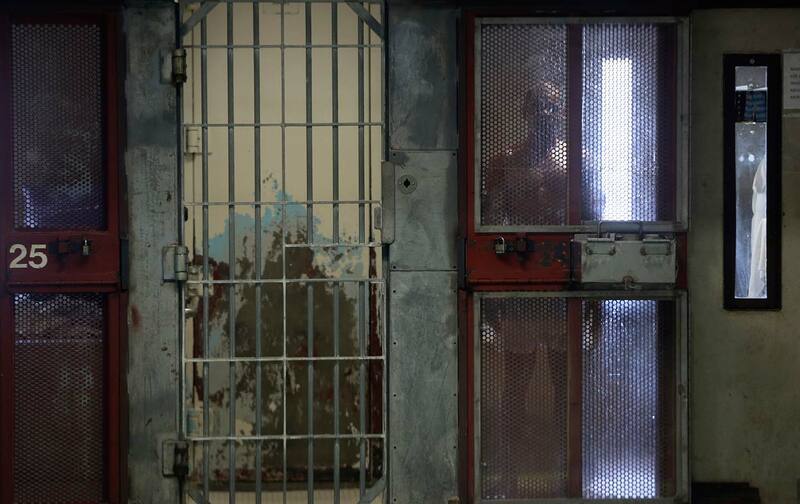 This story was published with Solitary Watch, a nonprofit watchdog group that investigates, documents, and disseminates information on the use of solitary confinement in US prisons and jails. CDCR officials had repeatedly stated that, while the SHU is a form of restricted housing, it is not solitary confinement. They initially denounced the hunger strike as being organized by prison gangs. However, the growing attention from sympathetic state legislators as well as supporters across the country made it increasingly impossible to ignore the prisoners’ demands. In 2012, the Center for Constitutional Rights filed a federal class-action lawsuit on behalf of all prisoners held in the SHU charging that prolonged solitary confinement violated the Eighth Amendment’s prohibition against cruel and unusual punishment, and that the absence of meaningful review for SHU placement violated constitutional guarantees of due process. The lawsuit, Ashker v. Governor of California, was settled on September 1, 2015. Soon, the number of individuals held in the SHU began to drop dramatically, as men who had been in solitary confinement for as long as three decades were released into general population or into transitional “step-down” programs. Just ask Todd Ashker. After only 13 months of being able to see the sky and talk face to face with other human beings, Ashker is back in isolation. And he’s not the only one. “Rights restoration is all a part of a nationwide struggle to make America a real democracy,” said Assaddique Abdul-Rahman, a 54-year-old Virginia man who had struggled with homelessness and incarceration since age 16, when he was sent to prison for robbery. After his rights were restored by Mr. McAuliffe, he began to help other formerly incarcerated people register to vote. Eventually, a group called the New Virginia Majorityhired him as an organizer. In states with strict voting laws that disenfranchise felons indefinitely — such as Florida — increasing turnout would likely make a difference in election outcomes, said Christopher Uggen, a professor of sociology at the University of Minnesota, who estimated that Democratic votes lost to felon disenfranchisement would have changed the outcome of seven Senate races since 1978, as well as the 2000 presidential election of George W. Bush. The United States is one of only a handful of countries that strips voting rights from felons even after they have served their time. The concept dates back to the colonial era, when certain criminals were shunned and stripped of rights, a practice known as “civil death.” But it only began to impact large numbers of people in the wake of the Civil War, when several Southern states used it to disenfranchise black men who had recently gained the right to vote. Today, laws barring felons from voting vary by state. Eligibility can change radically from one governor to the next, causing widespread confusion. People who commit serious crimes “should be required to prove that they have turned over a new leaf before we invite them back into the fold to be able to participate in the electoral process,” said Jason Snead, a policy analyst at the Heritage Foundation, a conservative think tank, who argues for stepped-up scrutiny of felons at the ballot box as part of a broader campaign against voter fraud. Mr. Huerta believes that boosting turnout is key to bringing needed resources into poor neighborhoods. On Monday, April 30, around 500 hundred formerly incarcerated people, family members, and allies from all over California will visit the Capitol in Sacramento for a large-scale statewide advocacy day called “Quest for Democracy.” The day will consist of an advocacy training, a rally in the park near the East Steps of the Capitol, and grassroots lobbying teams will meet with staff from most California legislator’s offices. Legal Services for Prisoners with Children and our grassroots organizing project All of Us or None work directly with ally and co-sponsor organizations to advocate for legislation that advances the civil and human rights of people in prison, their loved ones, and the broader community. This work is primarily lead by formerly incarcerated persons and those directly impacted by the criminal justice system, who work tirelessly to develop effective and humane alternatives to incarceration and punishment. For example, in 2017, LSPC and AOUON helped to pass AB 1008, which expanded “Ban the Box” policies to private employers and removed barriers to employment for over 7 million Californians with conviction histories. Quest for Democracy bridges the gap between policy advocacy and community organizing by training formerly incarcerated people, family members, and allies to fight for their rights, while also providing the opportunity to communicate directly with California State Legislators. Before the grassroots lobbying visits, the participants will join allies for a rally outside the Capitol building featuring speakers from many participating organizations, music, poetry, and dance. Organizers and attendees will promote a slate of bills that would shorten sentences, make police more accountable for their actions, remove barriers to employment, and promote voting rights. “The voices and expertise of directly-impacted people are what give life to this legislation and Quest for Democracy is a chance to show lawmakers why these issues matter,” said Brittany Stonesifer, LSPC Staff Attorney and Q4D Legislative Committee Lead. Bringing impacted people and allies from all over the state together creates community and empowers people to speak up at all levels of government. San Francisco, CA. (April 4, 2018) — All of Us or None (AOUON), a California-based national grassroots organization fighting for the rights of formerly and currently incarcerated people, sent demand letters today to ten California county registrar’s offices and local courts believed to be unlawfully triggering the removal of people with conviction histories from electoral rolls — with estimated over 3,000 eligible voters being removed in 2017 in Los Angeles County alone. AOUON has found evidence that these government agencies — which span ten counties, including Butte, Contra Costa, Kings, Los Angeles, San Diego, Santa Clara, Solano, Tulare, Ventura and Orange — have been violating recent legislation that preserves voting rights for people convicted of a felony under AB 109 Public Safety Realignment. The demand letters ask that the agencies immediately reinstate these voters’ registrations, send notices to alert the voters to the error, and fix their systems to ensure that such violations do not happen again. “We’re a national organization of formerly incarcerated individuals with a history of fighting for and winning the voting rights of people with convictions, and we are prepared to take necessary action to correct unlawful practices that violate our right to vote.” says Lisa James, AOUON-Los Angeles/Long Beach organizer. In 2011, a major California criminal justice reform — commonly known as “Realignment” — changed the law to require that people with non-serious, non-violent, or non-sexual felonies are sentenced to county jail or probation, instead of state prison. Since the California Constitution disenfranchises only those who are “imprisoned or on parole for the conviction of a felony,” the voting eligibility of those serving felony sentences in county jail under Realignment was unclear for several years. Following a successful legal battle brought by AOUON and other community allies against the Secretary of State, the State Legislature ultimately passed AB 2466 to clarify that Californians who are convicted of county Realignment felonies retain their right to vote. “The government’s ongoing confusion about the law leads to the continuing disenfranchisement of the very population historically subject to de facto disenfranchisement — from the Fifteenth Amendment to Jim Crow,” James says. The last day to register to vote in the California primary election is May 21. For people who are currently in county jail, the deadline to request mail-in ballots is May 29. Even if registrar’s offices in these ten counties re-enroll voters quickly, outreach efforts are crucial to ensuring that people with Realignment convictions know that they can, in fact, vote. AOUON is asking these registrar’s offices to engage in public education on the right to vote with a felony, but it will also continue its own outreach efforts. During the last two presidential general elections, AOUON-Los Angeles/Long Beach has done voter registration drives in Los Angeles County jails that have yielded more than 1,700 registrations in total. All of Us or None is a grassroots civil and human rights organization fighting for the rights of formerly and currently incarcerated people and our families. We are fighting against the discrimination that people face every day because of arrest or conviction history. The goal of All of Us or None is to strengthen the voices of people most affected by mass incarceration and the growth of the prison-industrial complex. All of Us or None is a project of Legal Services for Prisoners with Children, with the SoCal chapters sponsored by A New Way of Life Reentry Project. San Francisco, CA – Legal Services for Prisoners with Children (LSPC) Executive Director and All of Us or None co-founder Dorsey Nunn will join Drug Policy Alliance members and partners in Lisbon, Portugal on March 19-22, 2018, to observe first-hand the European country’s successful drug harm-reduction and decriminalization programs. In response to a heroin epidemic in the 1990’s, Portugal decriminalized personal possession of all drugs and began treating drug possession and use as a health issue—employing counseling and methadone instead of judge, courtroom, and jail. As a result, drug cases have dropped 75%, HIV transmission via intravenous drug use is the lowest in Europe, overdoses are the second lowest in Europe, and the drug-induced death rate is 5 times lower than the European Union average. During the same time period, the U.S. has doubled down on criminalization and incarceration, spending billions of dollars on a failed “War on Drugs” that has put hundreds of thousands of people—mainly of color—behind bars. In addition to incarceration, they are also shackled with a conviction history that triggers collateral consequences for the rest of their lives. There is also a real casualty cost—2016 saw more Americans dying of overdoses than were killed in the Vietnam, Afghanistan, and Iraq Wars combined. As a Drug Policy Alliance partner, LPSC works to end the criminalization of drug possession and use, and to restore the civil and human rights of people with conviction histories. Most recently, in 2017, LSPC co-sponsored and helped pass SB 180 (The RISE Act), which eliminated mandatory 3-year enhancement sentences for certain prior drug convictions. In addition to his legislative work and grassroots advocacy, Dorsey Nunn is also the co-founder of Free At Last, an organization in Palo Alto, CA that offers community recovery and rehabilitation services. Meeting with the top Portuguese national health officials who crafted their innovative and human policy, as well as with the social and health workers who implement it, LSPC and other Drug Alliance Policy partners will gain greater understanding about how to more effectively shift U.S. policy and practice from carceral to caring for our communities. As a legal services and legislative policy non-profit led and staffed by formerly-incarcerated people and family members, LSPC is in a unique position to advocate for best drug policy practices at the local, state, and national levels. Find more info on the DPA delegation and Portugal’s decriminalization policy here.